In 1789, a season of darkness has overshadowed Vienna as the French Revolution stirs up civil unrest and provokes fear among the authorities throughout Europe. In this fourth book of the Mozart series (following The Brother of Fire), the prodigious young composer struggles to makes ends meet and endures ongoing assaults from his rivals and enemies. Yet Mozart is determined to fulfill his destiny as the reincarnation of the Great Magician that his mentor Thamos, Count of Thebes, believes him to be, and so finds the energy to accomplish his greatest work, The Magic Flute, intended to finally reveal the Mysteries of Isis and Osiris to the world and pave the way to enlightenment. 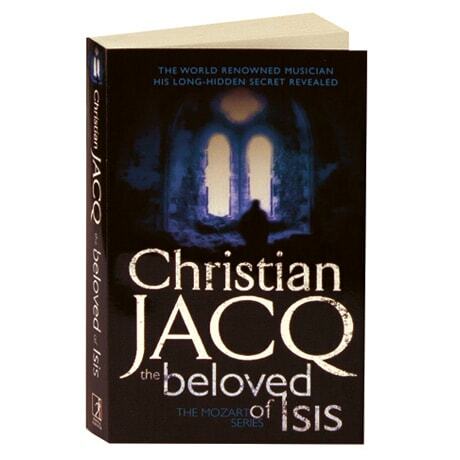 Though set in 18th-century Europe thousands of years after the time of the pharaohs, this historical novel from Egyptologist and writer Christian Jacq continues themes from his Ramses, Mysteries of Osiris, and other series set in ancient Egypt.